Retro game collecting can be exciting, stress-relieving, profitable, time-consuming, nostalgic, frustrating and entertaining. It can be the good kind of escapism, and it can be the bad kind of escapism. It’s a complex hobby with interesting people and a lot of moving parts. I’ve loved video games ever since I received my first Atari 2600– a “woody” model Atari console that my parents found at a yard sale. I fondly remember sinking hours of play time into games like Asteroids, Pacman and Frogs and Flies, falling in love with the simple graphics and sound effects of games of that era. When I went off to college, I sold my entire video game collection to pay for new apartment appliances, clothes and textbooks. I wanted to eliminate any distractions from my educational and occupational pursuits. But a few years later, I found myself frequenting flea markets, garage sales and thrift stores, trying to re-gather many of my favorite games that I had sold. That was two years ago. Since then, I’ve had the opportunity to dive into collecting culture with a fresh mind, analyzing all of the intricate components of collecting and the people who do it. I’ve met a lot of collectors who choose to be bitter about their hobby– bitter towards fellow collectors, re-sellers, game developers or other members of the gaming community. But I’ve also gotten to know some of the nicest people I’ve ever met. Many collectors I’ve met look out for each other and just want to enjoy being a collector. (I’ll discuss my experiences with each of these groups on a later post). Of course, many factors contribute to what kind of collector you are, such as what your motivation to collect is in the first place. Some collect for nostalgia; some do it for the challenge. Some do it to relive all the memories they had as kids, while others do it to make up for the lost time they weren’t able to play games as kids. Many collect to feel like a part of a community, and some collect games as investments. When I started Retro Chronicle, I wanted to use it as a platform to discuss something that remains very important to me– nostalgia. But I also wanted it to serve as a platform for conversations about nostalgia. Why is nostalgia so important? And how do we satisfy nostalgic cravings? This post will be my first in what I hope to be a long-running, collaborative column about retro gaming. I plan to dissect every part of the hobby (with the help of other collectors, of course) to offer as many helpful tips and as much insight as I can on topics like what to collect, where to look, why people quit collecting, how to store and protect your collection and how to trade effectively. Ultimately, I wanted to put together many of the in-depth information that I wish I knew a long time ago about how to collect and deal with others more effectively. I plan to start with the basics. My next piece from the retro game collecting series will deal with all the things you should consider when deciding which games to collect. Stay tuned. 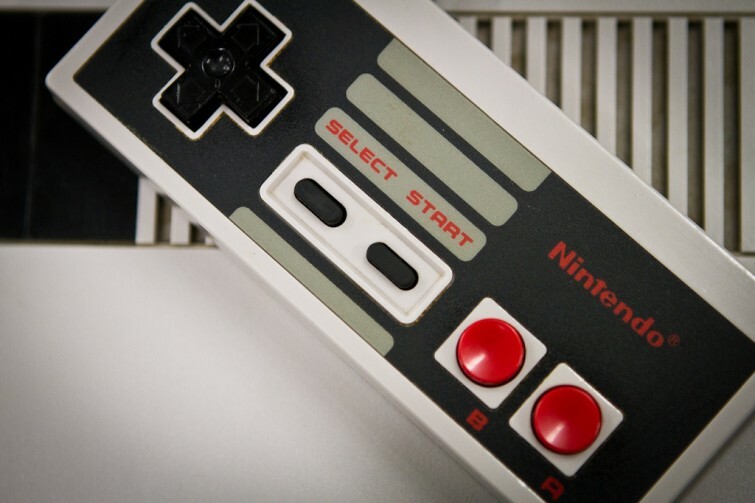 Photo caption: Nintendo 8-bit. Photo by Tony Webster. If you have any suggestions, stories or tips about retro game collecting, feel free to submit a letter to the editor right here.